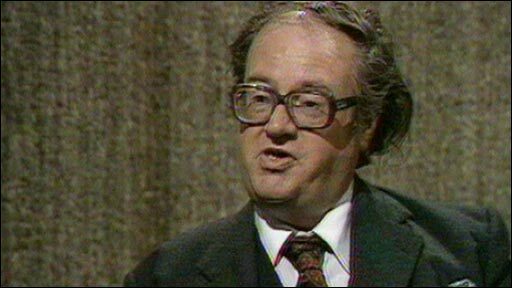 Dramatist and author Sir John Mortimer, who created enduring character Rumpole of the Bailey, has died aged 85 after a long illness. Sir John, who began working as a barrister in the 1940s, went on to become one of the most prolific writers of books and screenplays. 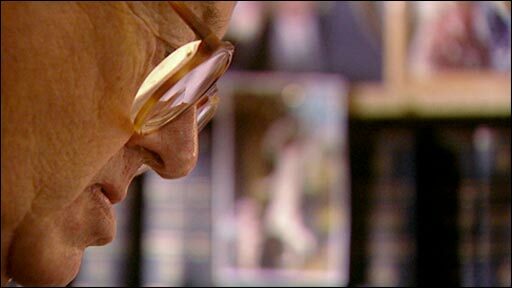 He first radio play was broadcast in 1957, and later wrote a TV adaptation of Laurie Lee's Cider With Rosie. Sir John, whose daughter is actress Emily Mortimer, was knighted in 1998. His other well-known screen creations included obnoxious Conservative MP Lesley Titmuss, portrayed by actor David Threlfall. Actor Leo McKern, who died in 2002, played Rumpole throughout his time on screen, and was called "a wonderful actor" by Sir John. The curmudgeonly barrister famously referred to his feared wife Hilda as "she who must be obeyed". Sir John adapted his own best-selling novel Summer's Lease for the small screen, which featured Sir John Gielgud. The writer also adapted ITV's lavish 11-part serial Brideshead Revisited. He combined his careers as barrister and dramatist for several decades, successfully defending Oz magazine against charges of obscenity in 1971. 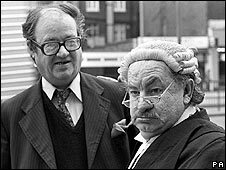 When I was a teenager I first read Rumpole and can remember laughing out loud at those stories. His own life was reflected in his dramatic output, with A Voyage Round My Father a portrayal of his blind father, who was also a barrister. The drama appeared on radio, television and the London stage. Melvyn Bragg, a friend and neighbour of Sir John, said the writer had a "wonderful life, beginning and ending" in a cottage in the Buckinghamshire village of Turville Heath, previously owned by his father. "Life was encircled around that place in Turville and he was the monarch of that," Lord Bragg said. Melvyn Bragg: "He will be badly, badly missed"
"There was a whiff of erudition and scandal always around John and it was completely seductive and he'll be badly, badly missed." BBC radio drama head Alison Hindell said: "It's a great loss for the huge circle of his admirers, fans and friends who will always carry Rumpole, and the other wonderful works he wrote, in their hearts." Tony Lacey, Sir John's editor at publishing house Viking said: "It's hard to think he'd gone. "At least we're lucky enough to have Rumpole to remind us just how remarkable he was."